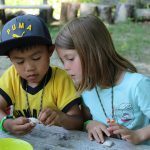 At Black Creek Community Farm, we are committed to providing meaningful learning experiences to assist teachers and families seeking to enrich their children’s learning. 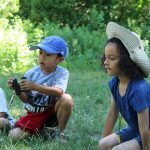 We tailor our programming to support what children are learning in class and at home by providing a unique, hands-on approach to environmental education. This is a very hands-on program, perfect for children to experience ‘A Day in a Farmer’s Life.’ Roll up your sleeves, put on your working boots, and get your hands right in the soil. Learn what it takes to get food on your plate! Get ready to learn about zero waste lunches, our dependence on fossil fuels to transport our food, the impact of our diets on climate change, and what can we do to take action! This program is all about the senses. 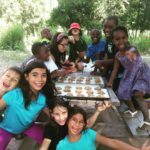 Students will get to harvest, taste, and prepare delicious snacks or lunches using the harvest they picked from our garden. Learn to create art masterpieces using the unique treasures found in nature! The Field to Fork program is offered in collaboration with Black Creek Pioneer Village. Two great sites in one fun-filled day! This program is available from May 1 to November 30 for Grades 2-8. $17 per student. Book through the Pioneer Village Website by clicking here. Would you like us to come visit you for a day? 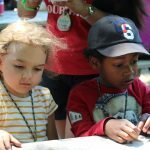 Are you planning a science fair or community event? 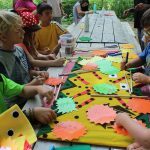 We are able to provide a few of Black Creek Community Farm’s favourite activities at your location. 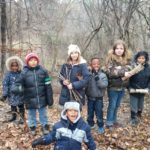 Whether you’re a school teacher, an educator at a childcare centre, running a day camp, or home schooling, we can bring a little bit of nature right to you. Click here for detailed descriptions of all the activities in our programs. From bicycle blended smoothies to worm bin exploration, we have a range of interactive activities to support your curriculum and learning goals. Have questions? Call (416) 393-6381 ext.103 or email farmkids@blackcreekfarm.ca. Click here to fill out a Field Trip Request Form. *Please note that in order to ensure the safety of our visitors and provide the best quality programs we must limit our capacity to 30 students per visit. Subsidized rates are available for local schools in need. If you require a subsidy please note it on your field trip request form when booking. Email farmkids@blackcreekfarm.ca for availability. Registration is not complete until a minimum 50% deposit is received. Full payment must be received 2 weeks before your booking date. If a reservation is cancelled, there will be an administration fee of $50. Your deposit is refunded with 3 or more weeks notice. We are now more accessible than ever, only a short walk or bus ride away from Pioneer Village subway station! Click here for directions to the farm. Children’s programming is funded by United Way.